More than 300,000 property transactions are falling through every year, in large part, due to buyers pulling out of the deal, costing sellers a total of £400 million latest research has revealed. Overall, more than two thirds (69%) of the home sales that fell through did so because of buyer related reasons, including the buyer changing his mind/ finding another property (39%) and the buyer’s finances not being in order (28%). Sales falling through further up in a chain accounted for 20% of collapsed sales. 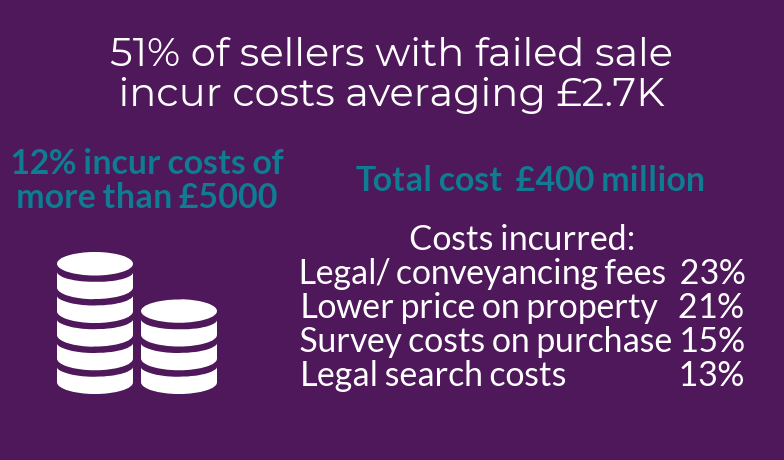 Nearly one in ten sellers (8%) with a failed sale have experienced gazundering; where the buyer lowered their offer just before the exchange of contracts. Worryingly, the research found uncertainty may actually put people off selling. 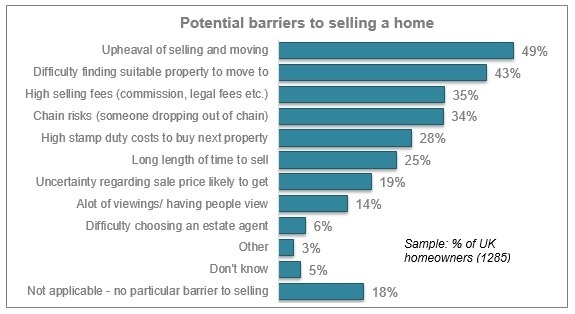 One in three (34%) homeowners say risks of property chains breaking down and nearly one in five (19%) homeowners say uncertainty regarding the sale price they may get for their property might prevent them from selling. 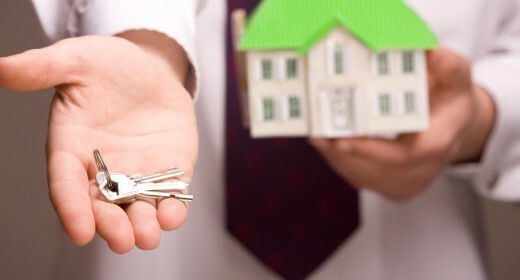 The research comes after the government announced plans to improve the home buying and selling process with a number of measures, including the introduction of voluntary reservation agreements. These legally binding agreements, advocated by HomeOwners Alliance, would require both buyers and sellers to put down a non-refundable deposit to commit both sides earlier in the process. Among UK adults, the survey showed 80% would like to see buyers show proof of funds before being able to put an offer to buy a property. In addition, 65% of UK adults support the idea of a reservation agreement requiring buyers and sellers to put down a non-refundable deposit to commit both sides earlier in the process. I plead guilty to a poor choice of agent, which resulted in the BUYER being disappointed. A pushy estate agent put pressure on me (the “seller”) to go ahead with a sale, which I later abandoned through not finding a suitable house to move to. I obviously caused the prospective buyer delays. No costs were incurred by either party, but I was forced by the estate agent’s contract (on pain of penalty) to forget about selling our house for 12 months. I am content with the result (other than the time-wasting), but am sorry to have inconvenienced the prospective buyer. Add me to the list of people wanting mandatory reservation agreements now. 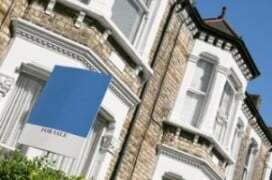 Estate agents and conveyencers could take the lead now, in advance of law change. How can they justify not doing so?